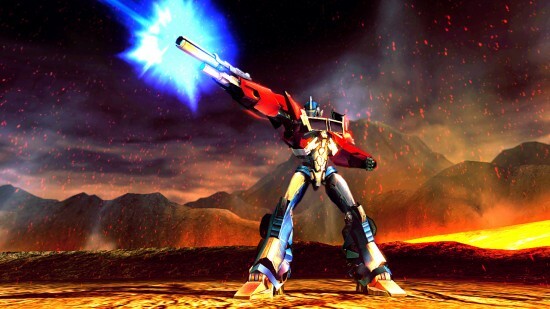 Clamoring for August 28th for Transformers: Fall of Cybertron to be released? High Moon Studios and Activision have heard the call, and probably saw the draught of games in August, and have pushed forward the release date of Transformers: Fall of Cybertron to August 21st. This will likely help the game as it pushes it earlier into a month that is traditionally lacking in new releases and further separates it from the deluge of games set to release in September until November. To celebrate the new release date, Transformers: Fall of Cybertron is also releasing a new trailer which can be seen after the jump. In it, Metroplex is prominently featured in stages of his transformation from a part of the city to the largest Autobot around that will hopefully give his compatriots time to escape the planet. Check out the full trailer after the jump and stick to the Flickcast next week where we will be getting exclusive hands-on multiplayer access to Transformers: Fall of Cybertron at San Diego Comic-Con.